Posted On April 29, 2012 by &filed under Legal Articles. 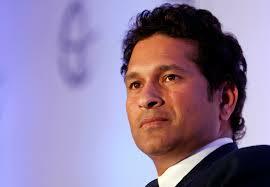 The world stands divided on the nomination of Sachin Tendulkar to the Rajya Sabha. Though the political class have by and large welcomed his nomination, many have questioned this timing of his nomination. While the Congress, the UPA allies and the CPM have welcomed this decision as very good step while BJP leader Ravi Shankar Prasad said “Parliament is a serious business and one would expect Tendulkar to devote some time to Parliament”. India’s sporting heroes have given a mixed reaction. Former soccer star Baichung Bhutia said joining politics was apersonal decision of Tendulkar, but added that the country needed dedicated and honest politicians like Tendulkar, who commands the respect of every Indian sports fan. Former cricket captain Dilip Vengsarkar remained sceptical about Tendulkar being able to devote his time for parliamentary proceedings when he is playing every format of the game. “I don’t know whether he has time to do that, because I think he is playing international cricket, he is playing in all formats of the game, whether he will have time to do that? Whether he will have time to attend the Parliament? I really cannot say anything on this,” said Vengsarkar. Yoga Guru Baba Ramdev on Saturday accused the UPA government of trying to divert attention from its poor performance by nominating Sachin Tendulkar for Rajya Sabha. Addressing a press conference, Baba Ramdev said the government is only trying to improve its image by way of such a move. Sachin Tendulkar needs to have a serious chat with his handlers. Like a prize horse, he is being groomed and taken around stud farms as a marketing tool in sport, business and now Parliament. Sadly, his moves continue to live out other people’s dreams, creating unending debates about his actions on and off the cricket field following the script written by those who would use him for their own narrow ends. But scratch deeper and the stench of cynicism hits you. A ruling party reeling under corruption charges, with inefficiency as its watchword and policy paralysis as its manifesto is in urgent need of shifting the focus from an old story which has re-emerged: Bofors, the 25-year old scandal. When you can’t change the logic of an argument, change the argument itself. Ride piggy-back on the character and record of one of the whitest reputations in the country. It serves a two-fold purpose. It wins brownie points among large swathes of the population, and establishes, or at least suggests that the greatest cricketer in the cricket-mad country is a Congressman. Perception is more powerful than reality, after all. It has meant that Tendulkar has endorsed not just the politics of a limping party, he has also raised the credibility of one of its chief fixers Rajiv Shukla, better described as Shukla the Unctuous. And we have not even got to the question of how a man who is still an active cricketer is expected to attend Parliament even occasionally. The identity of Sachin Tendulkar has been one of the most unifying, non-controversial and down-to-earth individual who have won the world for the nation and its people. Fans and even those who do not follow or do not support Cricket – admire Sachin for his character, achievements and contributions to the Indian Sporting World. However, his recent visit to 10, Janpath to meet Mrs. Sonia Gandhi and the news of his nomination to the Rajya Sabha has in a way stunned the world. First, many questioned if he was going to retire from the Cricketing field? When the answer to this query came out as a negative one, People Questioned how is he going to carry on both the works – playing as well as attending the Parliament ? Tendulkar’s image took a blow this past year as he appeared to be chasing records with a passion that pushed into the background the needs of the team. Again, perception may have overwhelmed reality, but by picking and choosing and hanging on in a format of the game where the World Cup win might have come as a logical climax, Tendulkar has done his cause no good. Men like Anil Kumble, Rahul Dravid, Sourav Ganguly who have stuck their necks out on occasion on matters of principle and in the cause of the game, are clearly better choices as Parliamentarians. But then the exercise is not so much about getting the best men for the job as getting the biggest name with the added advantage of being a non-rocker of boats. In his 23-year career, Tendulkar has not taken a stand on any issue, choosing his version of courage over conviction. Perhaps Tendulkar will surprise us all in the Rajya Sabha. Perhaps his greatest contribution to the country will be made here. Perhaps he is now pursuing the Bharat Ratna with as much determination as he pursued his 100th 100. On previous occasions when magnanimous personalities like Lata Mangeshkar were nominated for the same job, they had a poor record in attendence as well as actions in the Parliament. Cricket fans are divided with their opinions whether Sachin should have waited for his Retirement to make this move so that he performs and justify his nomination. Till recently, whether senior Sachin and Laxman should retire on the footstep of Dravid and let the new players take the responsibility was heatedly debated by the media as well as the cricket fraternity. Sachin’s response that he has no plans to retire did silence that question, however this new development is surely going to bring back those debates once he fails to deliver on the pitch or fails to attend the Parliamentary Sessions. Either way Sachin can be sure of such a situation very soon where he would need to handle enormous pressure from the media, fans, politicians as well as the people of this country. Did really the joining of tendulkar in Rajya sabha remove the dirt from politicians? Did other players like Dravid, Kumble, Gavaskar or Ganguly are no asset to India while they are free from Indian Cricket why not shoulder them responsibilities of Society? or Is it the biggest cricket joke Congress played to Indian Cricket and Media? Common people have affect whether Tendulkar join Council of States or any other member joins it Everybody know the nature of politicians..
102 queries in 0.255 seconds.